Padraig Harrington closed with a birdie two and shot a one under 69 at Monterey Peninsula Country Club. Darren Clarke finished with a bogey six in New Delhi after slam dunking his approach to the final hole into the water for a third round 70. 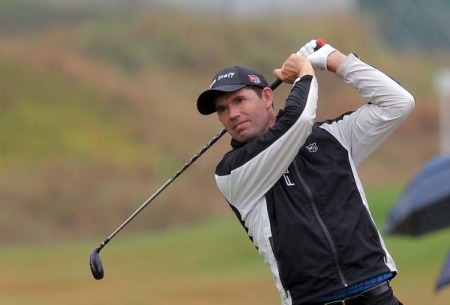 You might think that Harrington would be the happier of the two but his move to nine under par left him nine strokes behind defending champion Dustin Johnson and journeyman Paul Goydos entering the final round of the AT&T Pebble Beach National Pro-Am. Despite his finish, Clarke is just two strokes off the lead held by no fewer than seven players in the Avantha Masters in New Delhi. They include Englishman Barry Lane, who kept alive his bid to replace Des Smyth as the oldest man to win a European Tour event after the 49-year-old recorded a one-under 71 to join the leading pack on 11 under. What now for Clarke and Harrington? 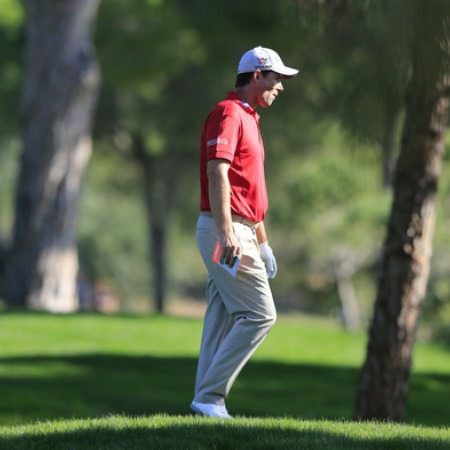 Padraig Harrington watches the flight of a tee shot in Turkey. Picture Stuart Adams www.golftourimages.com: On the face of it, Darren Clarke and Padraig Harrington are in the twilight years of their careers at the elite level but both still have much to offer as they bid to recapture the sparkle of old.